Texas boasts a rich history that is alive in the works of many Texas authors. Here are some of the works we have highlighted along with transcripts of author discussions. If you want to know more about Texas History, check out these. Light Townsend Cummins follows Tennant’s public career from the 1920s to the 1960s, both as an artist and as a culture-bearer, as she advanced cultural endeavors, including the arts. A true pathfinder, she helped to create and nurture art institutions that still exist today, most especially the Dallas Museum of Art, on whose board of trustees she sat for almost 30 years. Tennant also worked on behalf of other civic institutions, including the public schools, art academies and the State Fair of Texas, where she helped create the Women’s Building. Cummins is the Guy M. Bryan Jr. Professor of American History at Austin College in Sherman, Texas. He is the author or editor of a dozen books, including Emily Austin of Texas, 1795–1851. From 2009 to 2012, he served as the State Historian of Texas. I hope everyone enjoyed our discussion of LaBelle: The Ship That Changed History. 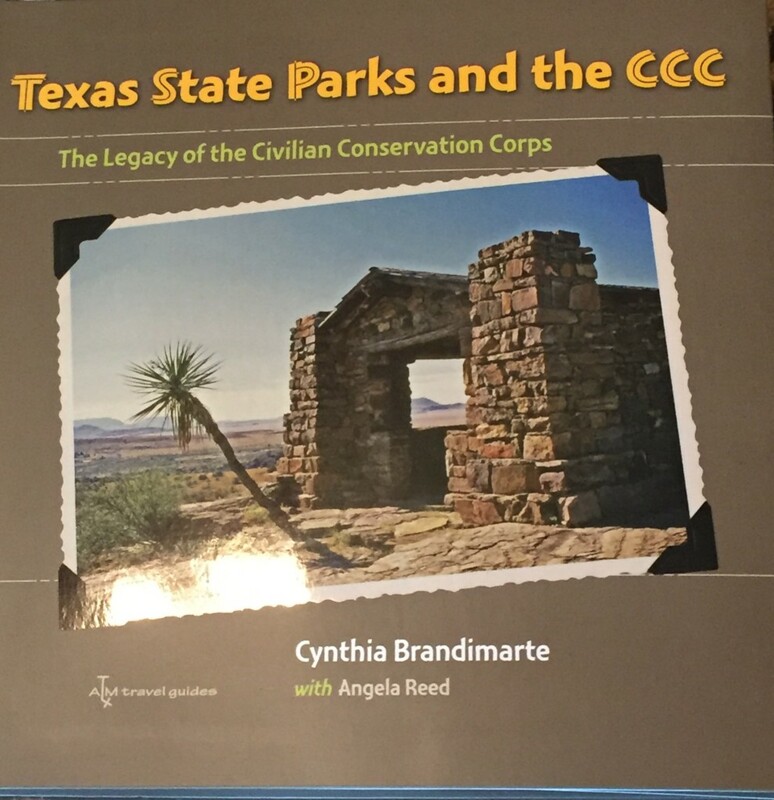 Our next book is Texas State Parks and the CCC: The Legacy of the Civilian Conservation Corps by Cynthia Brandimarte with Angela Reed. Author Cynthia Brandimarte will join us on Oct. 25. This book tells the story of the Roosevelt-era Civilian Conservation Corps, which built many Texas state parks from Palo Duro Canyon to Lake Corpus Christi. Thanks to our friends at Texas A&M Press for the five free copies we were able to give away. After two decades of searching for La Salle’s lost ship La Belle, Texas Historical Commission (THC) divers in 1995 located a shipwreck containing historic artifacts of European origin in the silty bottom of Matagorda Bay, off the coast of Texas. The first cannon lifted from the waters bore late 17th-century French insignia. The ill-fated La Belle had been found. Under the direction of then-THC Archeology Division Director James Bruseth, the THC conducted a full excavation of the water-logged La Belle. The conservation was subsequently completed at Texas A&M University’s Conservation Research Laboratory, resulting in preservation of more than one million artifacts from the wreck. An official naval vessel granted to La Salle by the king of France in 1684, La Belle is still considered a sovereign naval vessel belonging to the French government under international maritime law. A formal agreement negotiated by the French Republic, the Musée national de la Marine, the US Department of State, and the THC allows the ship and artifacts to remain in Texas permanently and to be housed in an exhibit at the Bullock Texas State History Museum in Austin that opened October 2014. This richly illustrated catalog accompanies the exhibit. Bruseth, guest curator and catalog editor, is the former director of the archeology division at the Texas Historical Commission, which sponsored the excavation of La Belle. Bruseth directed the excavation and serves as the project’s principal investigator. 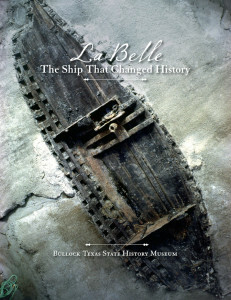 LaBelle: The Ship That Changed History is published by our partners at Texas A&M Press. Texas is fortunate in having a bountiful supply of ethnic groups influencing its foodways, and Texas food is the perfect metaphor for the blending of diverse cultures and native resources. Food is a symbol of our success and our communion, and whenever possible, Texans tend to do food in a big way. 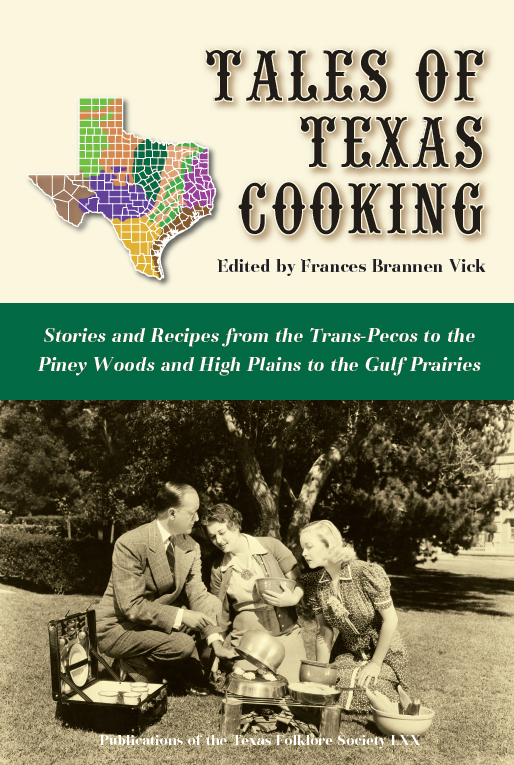 This latest publication from the Texas Folklore Society (edited by Fran Vick) and UNT Press contains stories and more than 120 recipes, from long ago and just yesterday, organized by the 10 vegetation regions of the state. Herein you’ll find Senator Kay Bailey Hutchison’s Family Cake, memories of beef jerky and sassafras tea from John Erickson of Hank the Cowdog fame, Sam Houston’s barbecue sauce, and stories and recipes from Roy Bedichek, Bob Compton, J. Frank Dobie, Bob Flynn, Jean Flynn, Leon Hale, Elmer Kelton, Gary Lavergne, James Ward Lee, Jane Monday, Joyce Roach, Ellen Temple, Walter Prescott Webb, and Jane Roberts Wood. There is something for the cook as well as for the Texan with a raft of takeaway menus on their refrigerator. Editor Fran Vick is retired director of the University of North Texas Press. In retirement, she has co-authored Petra’s Legacy, winner of the Coral Horton Tullis Award for the best book on Texas history and Letters to Alice: Birth of the Kleberg–King Ranch Dynasty; and edited Literary Dallas. She is past president of the Texas Institute of Letters, Texas State Historical Association, The Philosophical Society of Texas, and is a Fellow of the Texas Folklore Society and the Texas State Historical Association. She lives in Dallas. Patricia Wilson Clothier spent the first fourteen years of her life on the Wilson ranch in Big Bend, Texas. In these years, she experienced the Big Bend as a backyard filled with cherished treasures and inspiring adventures. After the formation of the Big Bend National Park, Patricia and her family lived in Alpine, Texas, then moved to Del Rio, Texas, where she graduated from High School. Published by John Hardy Publishing/Iron Mountain Press, this fascinating memoir will help us all celebrate the 100th anniversary of the National Parks System. In commemoration of this momentous centennial, Texas PBS has partnered with Villita Media and many others to bring a documentary to you all in April 2016. Click here to get a sneak peek at this beautiful documentary: The National Parks of Texas: In Contact with Beauty. In the tumultuous years following the Civil War, violence and lawlessness plagued the state of Texas, often overwhelming the ability of local law enforcement to maintain order. In response, Reconstruction-era governor Edmund J. Davis created a statewide police force that could be mobilized whenever and wherever local authorities were unable or unwilling to control lawlessness. 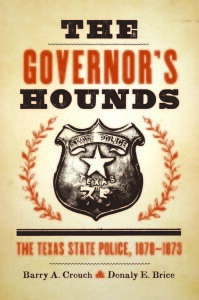 During its three years (1870–1873) of existence, however, the Texas State Police was reviled as an arm of the Radical Republican party and widely condemned for being oppressive, arrogant, staffed with criminals and African Americans, and expensive to maintain, as well as for enforcing the new and unpopular laws that protected the rights of freed slaves. Drawing extensively on the wealth of previously untouched records in the Texas State Archives, as well as other contemporary sources, Barry A. Crouch and Donaly E. Brice here offer the first major objective assessment of the Texas State Police and its role in maintaining law and order in Reconstruction Texas. 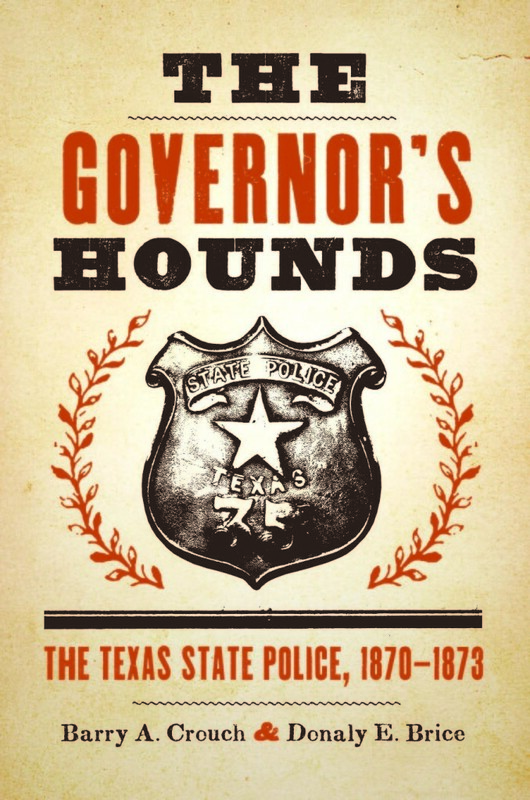 Published by the University of Texas Press, the authors make a convincing case that the state police performed many of the same duties that the Texas Rangers later assumed and fulfilled the same need for a mobile, statewide law enforcement agency. A Cowboy tradition with its roots in the 1880s comes alive each December in Anson, Texas, 23 miles north of Abilene. Dancin’ in Anson, published by Texas Tech University Press, looks at the history of the ball as well as Larry Chittenden’s famous poem from the 1890s, “The Cowboy Christmas Ball,” which was inspired by the original event. 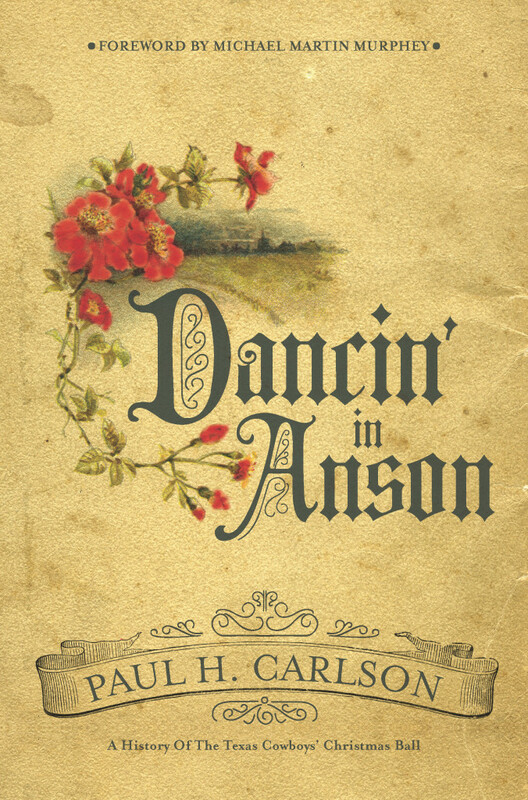 Author Paul H. Carlson, emeritus professor of history at Texas Tech, writes that the annual event is a beautiful reenactment of the 1880s event. 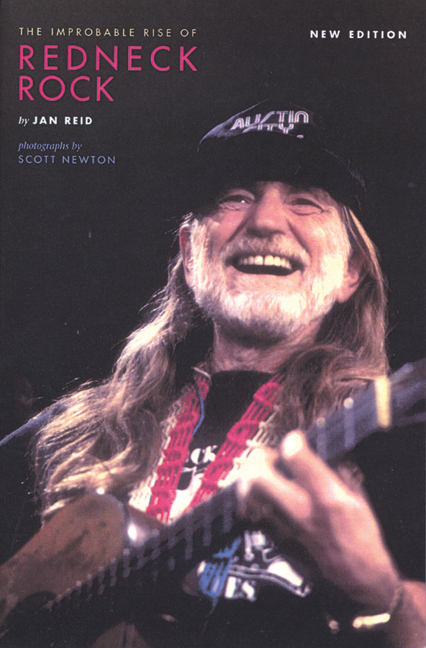 In this new edition, Jan Reid revitalizes his classic look at the Austin music scene. He has substantially reworked the early chapters to include musicians and musical currents from other parts of Texas that significantly contributed to the delightful convergence of popular cultures in Austin. Four new chapters and an epilogue show how the creative burst of the seventies directly spawned a new generation of talents who have carried on the tradition—Lyle Lovett, Stevie Ray Vaughan, The Fabulous Thunderbirds, Robert Earl Keen, Steve Earle, Jimmy LaFave, Kelly Willis, Joe Ely, Bruce and Charlie Robison, and The Dixie Chicks. Read the book that inspired the nationally popular and long-running PBS series Austin City Limits, which focused attention on the trends that fed the music scene—progressive country, country rock, western swing, blues, and bluegrass among them. Former Rhodes Scholar and Velásquez protégé Juan A. Sepúlveda, Jr.’s biography of the man provides a first, definitive glimpse into his life and times. Based on Sepúlveda’s close personal relationship and exchanges with Velásquez during the SVREP founder’s final years, and over a dozen years of research and writing, the book chronicles Velásquez’s influences, his landmark contributions to American civic culture, and his enduring legacy. William C. “Willie” Velásquez founded the Southwest Voter Registration and Education Project (SVREP) and was an influential participant in other leading Latino rights and justice groups, including the Mexican American Youth Organization (MAYO) and the Mexican American Unity Council (MAUC). From the late 1960s until his untimely death in 1988, Velásquez helped Mexican Americans and other Hispanics become active participants in American political life. Though still insufficiently appreciated, Velásquez holds a unique status in the pantheon of modern American civil rights figures. The Texas Rangers are legends in our state’s history. From the first rangers appointed by Stephen F. Austin in the early days of Anglo settlement to the Mexican War in 1846 when the rangers achieved worldwide fame as a fighting force, the stories of these remarkable lawmen are plentiful and wide-ranging. In Texas Ranger Tales: Stories That Need Telling, Mike Cox relates 27 stories that explore the Rangers and the events they encountered. Even people who think they know about the Texas Rangers will find surprises and new details. Cox explains in the introduction: “For this book, I’ve aimed my literary Winchester at two types of stories: First, they had to be interesting. Second, I wanted to concentrate on lesser-known Ranger tales.” Each story is freestanding, so readers can read the book cover to cover or skip around. Oveta Culp Hobby wore many hats during her long and eventful life: director of the Women’s Army Corps and the first Army woman to earn the rank of colonel; first secretary of Health, Education and Welfare; chairman of the board of the Houston Post; and leadership in the city of Houston that included advocating for civil rights and working with the Houston Symphony and the Museum of Fine Arts. Oveta Culp Hobby: Colonel, Cabinet Member, and Philanthropist, by Debra L. Winegarten is the first biography of this remarkable woman, whose life spanned most of the 20th century – 1905 to 1995. When Lyndon Baines Johnson wanted to go somewhere, there was no stopping him. This dynamic president called for Air Force One as others summon a taxi—at a moment’s notice, whatever the hour or the weather. And the man who made sure that LBJ got his ride was General James U. Cross, the president’s hand-picked pilot, top military assistant, and personal confidante. One of the few Air Force One pilots to have a position, simultaneously, in the White House, General Cross is also the only member of LBJ’s inner circle who has not publicly offered his recollections of the president. In this book, he goes on the record, creating a fascinating, behind-the-scenes portrait of America’s complex, often contradictory, always larger-than-life thirty-sixth president. The founding of Austin sparked one of the Republic’s first great political battles, pitting against each other two Texas titans: Mirabeau B. Lamar, who in less than a year had risen to vice president from army private, and Sam Houston, the hero of San Jacinto and a man both loved and hated throughout the republic. Texas Women on the Cattle Trails tells the stories of sixteen women who drove cattle up the trail from Texas during the last half of the nineteenth century. Some were young; some were old (over thirty). Some took to the trails by choice; others, out of necessity. Some went along to look at the stars; others, to work the cattle. Some made money and built ranching empires, but others went broke and lived hard, even desperate lives. Like the cowboys on cattle drives, they faced dust and heat, thirst and exhaustion, rustlers and Indians, stampedes and prairie fires. Drawing heavily on the accounts of the women themselves, the authors of these chapters vividly illustrate the complexity and diversity of women’s experiences on the cattle trails. Their stories of cattle drives and moving cattle to distant pastures add an important chapter to the story of life in the real Old West. In Struggle Against Jim Crow: Lulu B. White and the NAACP, 1900-1957 by Merline Pitre examines the life of this civil rights champion, beginning with her birth in Elmo, Texas, in 1900, her marriage to Houston businessman and activist Julius White and her graduation from Prairie View College. We Texans tend to take pecans for granted. They’re in our pantries and in our grocery stores; in our pies and in our pralines. Pecan trees grace our yards and our parks. But how much do we really know about this ubiquitous nut? Dr. James McWilliams wondered the same thing. Prompted by curiosity about the pecan tree growing through the back deck of his home, the writer and history professor set out to learn more. The result is The Pecan: A History of America’s Native Nut. The book group started 2014 reading America’s War: Talking about The Civil War and Emancipation, an anthology of primary and secondary sources about the division and aftermath of the Civil War. The program was made possible in part with a grant from Humanities Texas, the state affiliate of the National Endowment for the Humanities. We followed America’s War by focusing on Texas, with Dr. Charles Grear’s Why Texans Fought in the Civil War. In December, author Stephen Fagin, joined us for an exciting look into his work Assassination and Commemoration: JFK, Dallas, and the Sixth Floor Museum at Dealey Plaza. Fagin’s book gave our readers a unique way to look at the assassination of the revered president, the political and social climate of Dallas, Texas in the 1960s, and informed us about the effort to preserve the Texas Book Depository and create a museum commemorating one of the most tragic events in American history. In November we had a special OVEE screening of the Secrets of the Dead episode about the Kennedy Assassination. “JFK: One PM Central Standard Time” takes a look at the role of notable press powerhouse, Walter Cronkite, as well as other members of the press tasked with breaking the news of the tragedy to American People. In October 2013, author Ron Rozelle discussed his book My Boys and Girls are in There about the 1937 New London School Explosion. Journey with us through the eyes of Texas women. In July, Dr. Mary Scheer joined us for a discussion about Women and the Texas Revolution, published by University of North Texas Press. Learn more about what inspired Author Jan Reid to write about his friend, Ann Richards. He was the first author to chat with our book club in May 2013. 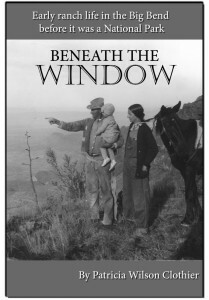 Reid’s highly-acclaimed book was published by the University of Texas Press. Join us here at 7:30 pm on January 17, 2017 to chat with Light Cummins about Allie Victoria Tennant and the Visual Arts in Dallas. We hope you all have a wonderful holiday. See you next year! Chat with us tomorrow night! 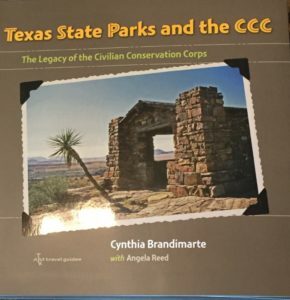 Click here to chat with author Cynthia Brandimarte tomorrow night about her fabulous book, Texas State Parks and the CCC. We’ll kick it off at 7:30 pm. See you there! I hope everyone enjoyed our discussion of LaBelle: The Ship That Changed History. Our next book is Texas State Parks and the CCC: The Legacy of the Civilian Conservation Corps by Cynthia Brandimarte with Angela Reed. Author Cynthia Brandimarte will join us on Oct. 25. This book tells the story of the Roosevelt-era Civilian Conservation Corps, which built many Texas state parks from Palo Duro Canyon to Lake Corpus Christi. Our friends at Texas A&M Press gave the book group 5 free copies of the book! Send your name and address to bookgroup@texaspbs.org for a chance to receive a free copy. First come, first served! Happy Reading!